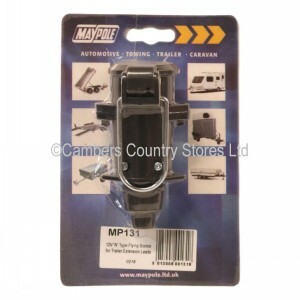 Maypole Trailer Socket 12v "N" Type For Extension Lead. 12V 'N' type 7 pin plastic flying socket used for making 12N extensions for trailer and caravan applications. Pin style: Brass plated with screw terminals. Designed to conform to ISO 1724.